Much of the art world thrives on controversy. It's one of the many engines that drives gossip throughout humanity, and artists are no exception. The very nature of the work we do challenges the way people see the world, and how they interact with it. But as the trend of exhibiting the collections of prominent celebrities continues, there is often some unintended controversy that gets dragged into the fray along with the art itself. Take, for example, the famous yet currently-embroiled comedian, Bill Cosby. Like many rich and successful people, he has amassed a private collection of artwork that rivals many galleries, and like many rich and successful people, he has chosen to share that with a more recognizable gallery in hopes of sharing the work he has collected, and less obviously, add to his prestige and reputation. 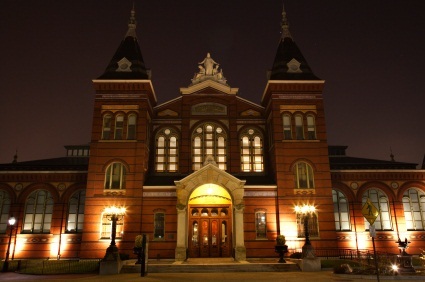 To that end, the National Museum of African Art, a subsidiary of the world-famous Smithsonian Institution in Washington, D.C., has been displaying works from the collection of Bill and Camille Cosby as part of the 'Conversations: African and African American Artworks in Dialogue' exhibit, which is planned to run until 2016. However, as anyone who has so much as touched a newspaper or a computer will no doubt be aware, Bill Cosby is currently at the centre of a storm of accusations of sexual abuse from a growing number of women. While no formal charges have yet been laid against Cosby, many questions have been raised about whether or not Cosby's art should still remain a part of the Conversations exhibit. Until recently, the Smithsonian has refused to comment on the issue, but has finally relented and released a statement that manages to say very little other than disavowing any connection between the appropriateness of the collection's use and Cosby's alleged actions. The statement reads: “The National Museum of African Art’s mission is to inspire conversations about the beauty, power and diversity of African arts and cultures. We began planning for the “Conversations” exhibition two years ago to help showcase the history of American art created by persons of African descent. It brings the public’s attention to artists whose works have long been omitted from the study of American art history. We are aware of the controversy surrounding Bill Cosby, who, along with his wife Camille, owns many of the works in the “Conversations” exhibition. Exhibiting this important collection does not imply any position on the serious allegations that have been made against Mr. Cosby. The exhibition is centrally about the artworks and the artists who created them.” An admirable goal, but the art world doesn't exist in a vacuum - we all live there.